There's a reason why Superman is one of the most enduring fantasy characters in popular culture. 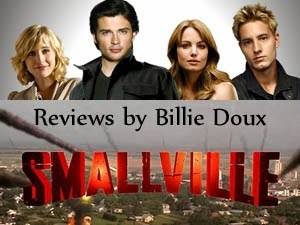 And even though I wasn't that wild about Smallville (2001-2011) when it first began airing, I grew to love it during its heyday (which I consider to be seasons two through six). I was especially into Lex and Lionel. Which is why it started losing me in season seven. But I did hang in and kept reviewing until the end.